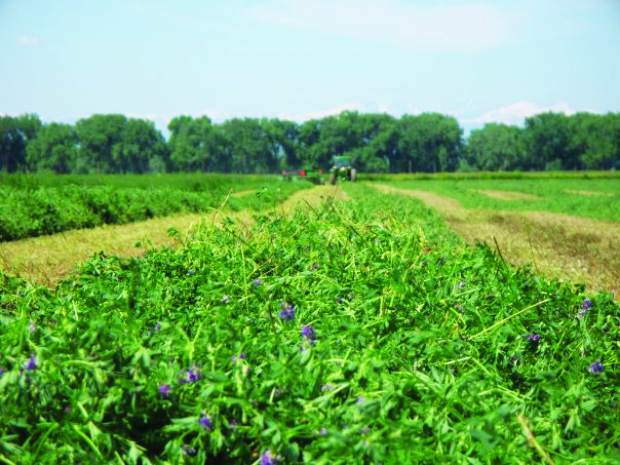 Roundup Ready alfalfa: Is its technology beneficial to producers? 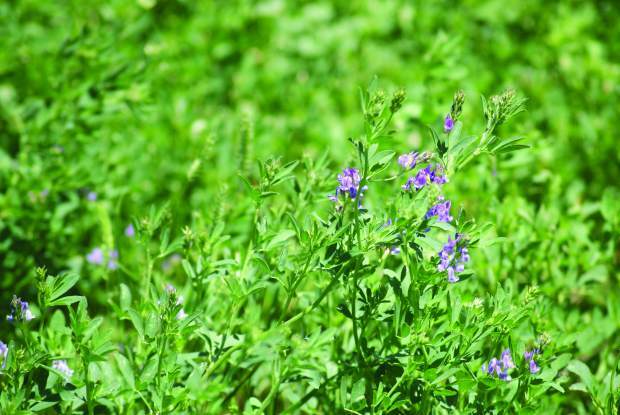 A South Dakota alfalfa seed grower who filed suit when Roundup Ready alfalfa was released in 2005 remains in a legal battle against its parent company. Chuck Noble of Winner, S.D., said that a Washington, DC, district appeals court ruled on June 10, 2013, that, while concerns exist, a lawsuit opposing the use of the Monsanto product isn't warranted. Noble and the 75 others from across North America involved in the suit have 90 days to appeal to the Supreme court. Which, he said, will probably happen. "USDA-ARS completed a study in 2011 to try and find a strategy to allow Roundup Ready and traditional alfalfa to coexist," he said. Research conducted in California, Utah and Washington is ongoing but some preliminary findings indicate that conventional alfalfa fields are being contaminated at a level of 13-24 percent by Roundup Ready strains, said Noble. "We found contamination as early as 2005 in Idaho, the first year it was used," he said. Born and raised on a farm, Noble said his seed is used by growers in Iowa and Nebraska as well as South Dakota. His home state was the "birthplace for alfalfa seed" in the U.S. and maintains a reputation for good seed. "Our genetics are precious and unique and I'd like to preserve them," he added. "I've got some alfalfa fields that are 25 and 50 years old. Those plants have survived a lot." "I have a right to enjoy and use my property as I see fit," said the farmer whose seed is produced from hay acres, as is nearly half the industry's seed. "That goes all the way back to the Magna Carta." He said other landowners have the same right but they need to "keep it on their side of the fence." He realizes nature allows cross-pollination of plants, and has no issue with that, but "Mother Nature doesn't have a patent, she isn't going to sue anybody. That's the difference." Noble said much "due diligence" is required to maintain clean seed. "I have to test any seed I buy. I have to be sure the custom combines don't contaminate, as well as the seed cleaners. The hygienic aspect is tremendous; it's a significant burden." Noble added that some seed producers are forfeiting the outer edges of their crops due to contamination. "Some seed companies say one-tenth of one percent is the detectable level of GE presence and they won't buy it." Noble said Monsanto has sued at least 140 people in related suits. "So if I get contaminated, what am I going to do with my seed?" Noble has written letters to his congressional delegates urging them to oppose the "farmer assurance provision" also known as the "Monsanto Protection Act" anonymously slipped into a continuing resolution in December of last year and included in the March bill. The language limits judges' abilities to stop Monsanto or the farmers who use genetically modified seeds from growing or harvesting those crops even if courts find evidence of potential health risks. Noble is also concerned that more and more traditional alfalfa will become contaminated to the point that eventually the gene pool will shrink substantially. "Do you want all your seed pool contaminated, do you want Monsanto to monopolize the whole deal?" According to Noble, Monsanto has promised not to file suit against producers selling seed that is contaminated at a level of one percent or less. "Let's just say we go along with this one percent business. If you have one percent of plants that are contaminated – bees can carry this up to three or four miles – alkali bees five miles – this contamination will multiply by about a factor of two, so if I started at just under one percent, it will double. When I harvest that crop I'll have two percent in the bag, and in the next seed generation it will be four percent, then eight percent, and so-on." Genetic diversity is important, Noble said, referencing the two European "potato famines" when the three types of potatoes were all susceptible to blight, which destroyed the crop and caused mass starvation across the region. "The same thing happened in two different episodes. That demonstrates why you don't want a narrow gene pool which is where this thing is headed if we let it play out." Noble, whose collegiate background is in science and systems said most people aren't interested in the intricacies of the science behind the glyphosate-resistant product or the spray itself, but Roundup can promote pathogens in the soil that are harmful to the "good plants" along with the weeds. 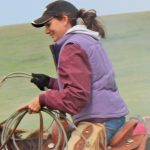 "During the days of open range, some cattlemen tried to run over people but they didn't prevail," Noble said, "I don't think it's just or appropriate for people to free range my farm with their genes. We don't free range cattle anymore. If you can't keep a bull home, he goes to town." One third generation Montana farmer said his grandfather was the first to use rubber tires on tractors, his father was laughed at for applying commercial fertilizer on his dryland farm before it was commonplace and he was the first producer in the region to try Roundup Ready crops. "They work well. They're not the answer for weed-free but it's a technology I consider very safe," he said. John Wold has raised alfalfa seed for 30 years, growing some Roundup Ready alfalfa along with conventional the last five to six years. "The Roundup Ready seed fields are by far superior – mostly for weed control, which is a constant challenge," he said. "Anti-Roundup people claim there are problems with Roundup but they can't prove it. Roundup Ready crop producers can prove that there is no damage to the environment whatsoever," Wold said, adding that he's not a "lover of large companies" but they have a great product that he's willing to pay for. Wold, whose seed goes to Forage Genetics International, said he understands why Monsanto is protective of their technology. "They need to protect themselves and their patent. If you don't pay the tech fee, you're going to be in trouble. They've paid millions for research to develop this product." Some extremists claim that Monsanto will "take the farm away" if they find a Roundup Ready plant on the place, but that isn't true, he said. Wold said he doesn't know of any cases where bees have cross pollinated the two kinds of alfalfa. But he isn't really worried about a small amount of drift. "What I've been told at meetings and such is that if you are honest and you raise a conventional crop that is contaminated by wind or bees – I don't see them filing suit. But if you sneak around and plant Roundup Ready alfalfa that you bought from a neighbor or something, then I understand. I respect their rules and live by them." Wold said he keeps his conventional and Roundup Ready alfalfa at least 600 feet apart and has found only minute cross-contamination. He said leafcutter bees do the bulk of the pollinating, and honey bees help a little, but cross-pollination in this manner is unlikely. "In theory it could be possible but in practicality it doesn't happen that way. It would be more likely to happen in the handling and such." Wold raises Roundup Ready soybeans and a renter grows Roundup Ready sugarbeets on his property and both have been useful tools. "Last year my neighbor who raises sugarbeets on my farm had to irrigate in the spring because it was so dry, and if they'd had conventional sugarbeets, they'd probably have lost them but they were able to control the weeds and then irrigate and they saved the crop." Noble isn't convinced. Another appeal is next on his agenda. "Justice will prevail, it's just a matter of how long," he said.